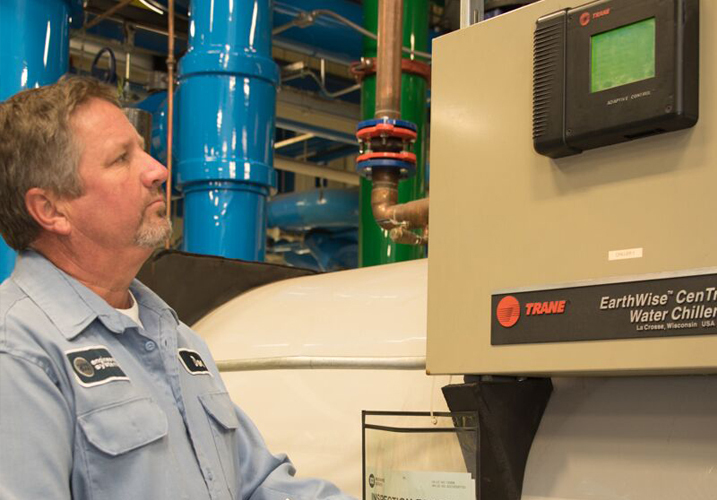 If you operate a chiller, you already know that it is a sophisticated piece of equipment – one that takes a special type of technician to maintain it. ACCO Engineered Systems has over 40 years of experience assembling and training the largest Non-OEM chiller experts in the region. ACCO’s Centrifugal Group specialists have been trained and certified to service and repair all types of chillers, regardless of manufacturer, size or compressor configuration. In fact, many of our Chiller specialists come directly from the manufacturers so they know the equipment inside and out and have a unique perspective, different from most Mechanical contractors. Trust ACCO’s Centrifugal Group to keep your most valuable mechanical asset running like new.